More than seventy years after the end of World War II, the decision to drop the atomic bombs on Hiroshima and Nagasaki remains controversial. Historians and the public continue to debate if the bombings were justified, the causes of Japan's surrender, the casualties that would have resulted if the U.S. had invaded Japan, and more. Some historians, often called "traditionalists," tend to argue that the bombs were necessary in order to save American lives and prevent an invasion of Japan. Other experts, usually called "revisionists," claim that the bombs were unnecessary and were dropped for other reasons, such as to intimidate the Soviet Union. Many historians have taken positions between these two poles. These books and articles provide a range of perspectives on the atomic bombings. This is not an exhaustive list, but should illustrate some of the different arguments over the decision to use the bombs. Alperovitz, Gar. Atomic Diplomacy: Hiroshima and Potsdam. New York: Simon and Schuster, 1965. -------. The Decision to Use the Atomic Bomb and the Architecture of an American Myth. New York: Knopf, 1995. Alperovitz, a prominent revisionist historian, argues that the bombs were unnecessary to force Japan's surrender. In particular, he posits that the Japanese were already close to surrender and that bombs were primarily intended as a political and diplomatic weapon against the Soviet Union. Bernstein, Barton. "Understanding the Atomic Bomb and the Japanese Surrender: Missed Opportunities, Little-Known Near Disasters, and Modern Memory." Diplomatic History 19 (Spring 1995): 227-73. Bernstein challenges the notions that the Japanese were ready to surrender before Hiroshima and that the atomic bombings were primarily intended to intimidate the Soviet Union. He also questions traditionalist claims that the U.S. faced a choice between dropping the bomb and an invasion, and that an invasion would lead to hundreds of thousands of American casualties. Bird, Kai, and Lawrence Lifschultz, eds. 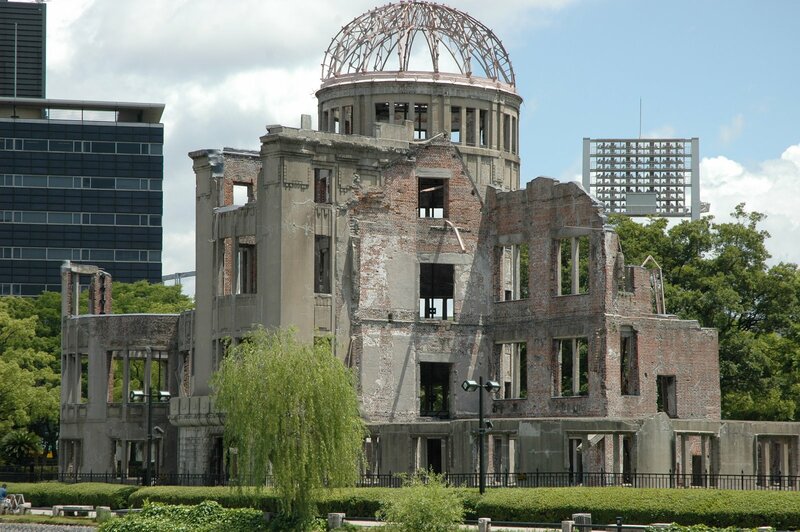 Hiroshima's Shadow: Writings on the Denial of History and the Smithsonian Controversy. Stony Creek, CT: Pamphleteer's Press, 1998. This collection of essays and primary source documents, written primarily from a revisionist perspective, provides numerous critiques of the use of the atomic bombs. It includes a foreword by physicist Joseph Rotblat, who left the Manhattan Project in 1944 on grounds of conscience. Bix, Herbert P. Hirohito and the Making of Modern Japan. New York: Perennial, 2000. This Pulitzer Prize-winning biography of the Japanese emperor asserts that the Japanese did not decide to surrender until after the bombings and the Soviet invasion of Manchuria. Bix attributes responsibility for the bombings to Hirohito's "power, authority, and stubborn personality" and President Truman's "power, determination, and truculence." Craig, Campbell and Radchenko, Sergey. The Atomic Bomb and the Origins of the Cold War. New Haven, CT: Yale University Press, 2008. A provocative study of the entrance of the atomic bomb onto the global stage. It questions the various influences impacting the United States' decision to drop the bomb, and discusses the Manhattan Project's role in orchestrating the bipolar conflict of the Cold War. Dower, John W. Cultures of War: Pearl Harbor/Hiroshima/9-11/Iraq. New York: W. W. Norton, 2010. Dower states that the U.S. used the bombs in order to end the war and save American lives, but asserts that Truman could have waited a few weeks before dropping the bombs to see if the Soviet invasion of Manchuria would compel Japan to surrender. He argues that Truman employed "power politics" in order to keep the Soviet Union in check, and criticizes both Japanese and American leaders for their inability to make peace. Feis, Herbert. Between War and Peace: The Potsdam Conference. Princeton, NJ: Princton University Press, 1960. Feis presents a blow-by-blow account of the proceedings at the Potsdam Conference that sought to plan the postwar world. 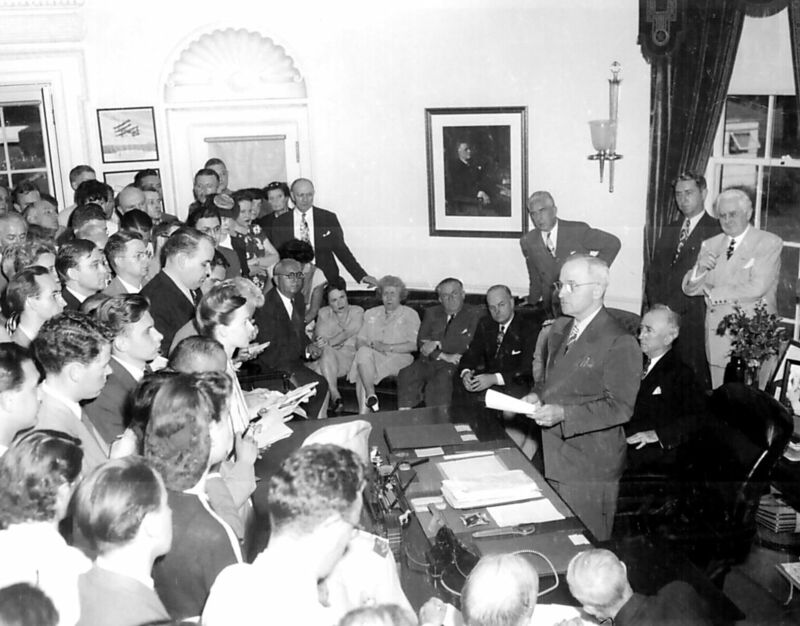 He gives particular attention to the discussion of atomic weapons that took place at the conference, noting how it impacted the negotiations of Harry Truman and the American delegation. Frank, Richard B. Downfall: The End of the Imperial Japanese Empire. New York: Penguin Books, 1999. Frank contends that the Japanese were not close to surrendering before the bombing of Hiroshima. He also concludes that 33,000-39,000 American soldiers would have been killed in an invasion, much lower than the figures usually given by traditionalists. Fussell, Paul. Thank God for the Atom Bomb and Other Essays. New York: Summit Books, 1988. In the title essay, Fussell, a World War II veteran, vividly recalls the war's brutality and defends the bombings as a tragic necessity. Giangreco, D.M. Hell to Pay: Operation Downfall and the Invasion of Japan, 1945-1947. Annapolis, MD: Naval Institute Press, 2009. Giangreco defends estimates that an invasion of Japan would have cost hundreds of thousands of American lives, and challenges the argument that using the bombs was unjustified. Gordin, Michael D. Five Days in August: How World War II Became a Nuclear War. Princeton, NJ: Princeton University Press, 2007. Gordin argues that Hiroshima and Nagasaki stemmed from American decisionmakers' belief that the bombs were merely an especially powerful conventional weapon. He claims U.S. leaders did not "clearly understand the atomic bomb's revolutionary strategic potential." Hasegawa, Tsuyoshi. Racing the Enemy: Stalin, Truman and the Surrender of Japan. Cambridge: Belknap Press of Harvard University Press, 2005. In this history of the end of World War II from American, Japanese, and Soviet perspectives, Hasegawa determines that the Soviet invasion of Manchuria was the primary factor in compelling the Japanese to surrender. Hersey, John. Hiroshima. New York: Alfred A. Knopf, 1946. Hersey's book-length article, which appeared in the New Yorker one year after the bombing of Hiroshima, profiles six survivors of the attack. It helped give the American public a new picture of the human impact of the bomb and brought about a groundswell of negative opinion against nuclear weapons. Lifton, Robert Jay, and Greg Mitchell. 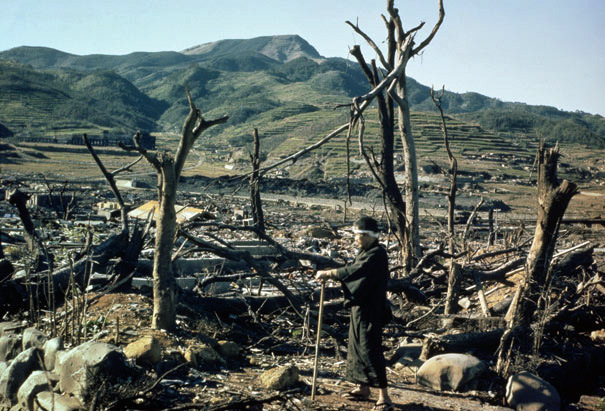 Hiroshima in America: A Half Century of Denial. New York: Avon Books, 1995. Written from a revisionist perspective, this book assesses President Truman's motivations for authorizing the atomic bombings and traces the effects of the bombings on American society. Maddox, Robert James. Weapons for Victory: The Hiroshima Decision Fifty Years Later. Columbia, MO: University of Missouri Press, 1995. This analysis contends that Japan had not decided to surrender before Hiroshima, states that the U.S. did not believe the Soviet invasion would force Japan to surrender, and challenges the idea that American officials greatly exaggerated the costs of a U.S. invasion of mainland Japan. Malloy, Sean. 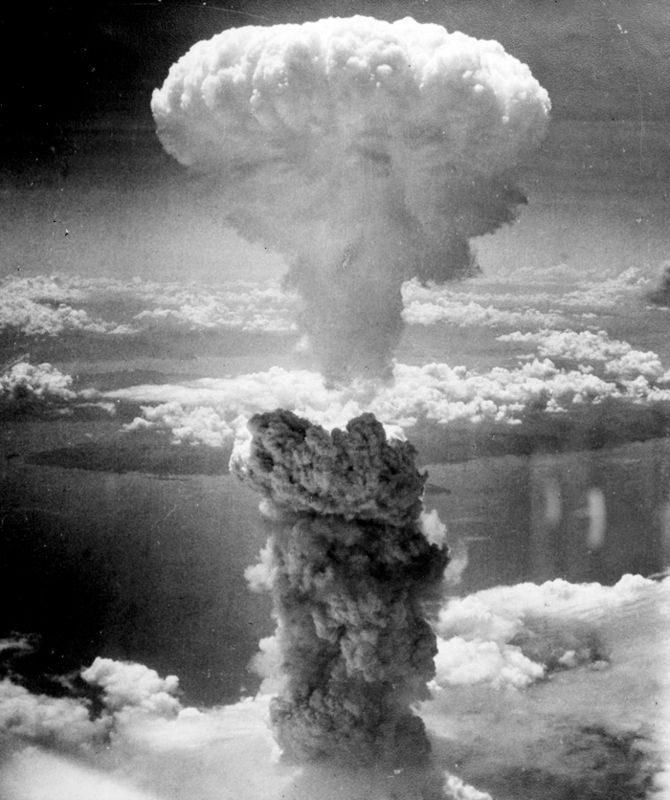 Atomic Tragedy: Henry L. Stimson and the Decision to Use the Bomb Against Japan. Ithaca, NY: Cornell University Press, 2008. Traces the U.S. government's decision to drop the atomic bombs on Japan, using the life of Secretary of War Henry L. Stimson as a lens. This biography frames the contested decision as a moral question faced by American policy makers. Miscamble, Wilson D. The Most Controversial Decision: Truman, the Atomic Bombs, and the Defeat of Japan. New York: Cambridge University Press, 2011. In this short history, Miscamble critiques various revisionist arguments and posits that the bomb was militarily necessary. He also discusses whether the bombings of Hiroshima and Nagasaki were morally justified. Newman, Robert P. Truman and the Hiroshima Cult. East Lansing, MI: Michigan State University Press, 1995. Newman argues that Truman made a legitimate military decision to bring the war to an end as quickly as possible. He claims the bombings ultimately saved lives and assails what he calls a "cult" of victimhood surrounding the attacks. Rotter, Andrew J. Hiroshima: The World's Bomb. Oxford: Oxford University Press, 2008. This international history of the race to develop the bomb asserts that Truman was primarily motivated by a desire to end the war as quickly as possible, with a minimal loss of American lives. Rotter states that the shocks caused by the atomic bombings and the Soviet invasion of Manchuria were both pivotal to Japan's surrender. Stimson, Henry L. "The Decision to Use the Atomic Bomb." Harper's Magazine 194:1167 (February 1947): 97-107. Writing a year and a half after Hiroshima and Nagasaki, former Secretary of War Stimson defends the U.S. decision. He documents the refusal of the Japanese to surrender and estimates that an Allied invasion would have resulted in one million American casualties and many more Japanese deaths. Walker, J. Samuel. Prompt and Utter Destruction: Truman and the Use of Atomic Bombs Against Japan. Chapel Hill: University of North Carolina Press, 2004. In a concise critique of both traditionalist and revisionist interpretations of Truman's decision, Walker concludes that the primary motivation for the use of the bombs was to end World War II as quickly as possible. Zeiler, Thomas W. Unconditional Defeat: Japan, America, and the End of World War II. Wilmington, DE: Rowman & Littlefield, 2003. This history chronicles the brutality of the fighting between the U.S. and Japan in the Pacific. Zeiler concludes that the bombings of Hiroshima and Nagasaki were mostly motivated by military, rather than political, reasons. If you have suggestions for resources that should be listed here, please contact us. Hiroshima Atomic Dome Memorial. Photo by Dmitrij Rodionov, Wikimedia Commons. 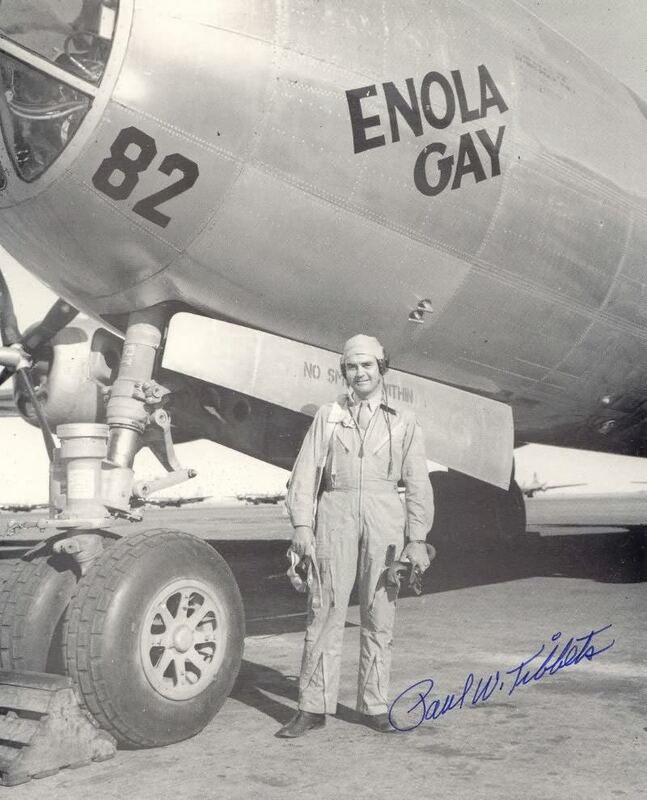 Paul Tibbets and the Enola Gay. Courtesy of the Joseph Papalia Collection.